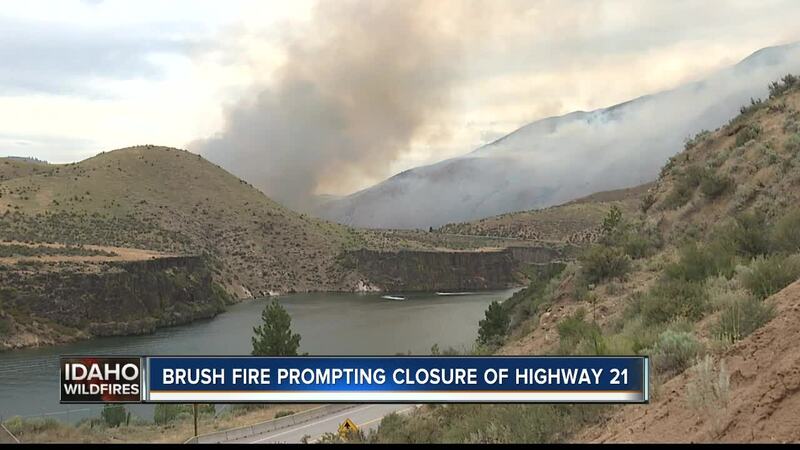 A brush fire burning north of Lucky Peak is prompting the closure of Highway 21 in both directions between Highland Valley Summit and Robie Creek Road. 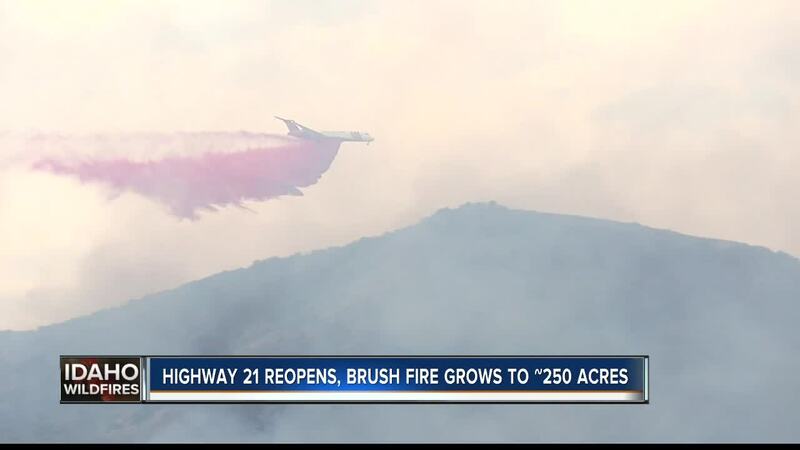 Highway 21 is back open after a brush fire prompted closures Sunday afternoon. The brush fire burning north of Lucky Peak State Park closed the highway in both directions between Highland Valley Summit and Robie Creek Road. The fire was first reported around 4:00 p.m., but due to dry and windy conditions, the flames spread to 250 acres within three hours. Crews hope to have the fire contained by 9:00 p.m. Monday night. According to BLM officials, two helicopters, two Single Engine Air Tankers, and one Air Tanker are working the fire along with three IDL engines, two Forest Service engines, and several rural department engines. Four hand crews have been ordered.